Overlooking Victoria’s beautiful Inner Harbour, the Fairmont Empress has been recognized as one of the Top 21 Iconic Hotels in the World by National Geographic Traveler magazine, honoured with Travel + Leisure distinction as Top Canadian Hotel, and regarded as a Condé Nast Readers’ Choice and Gold List hotel. 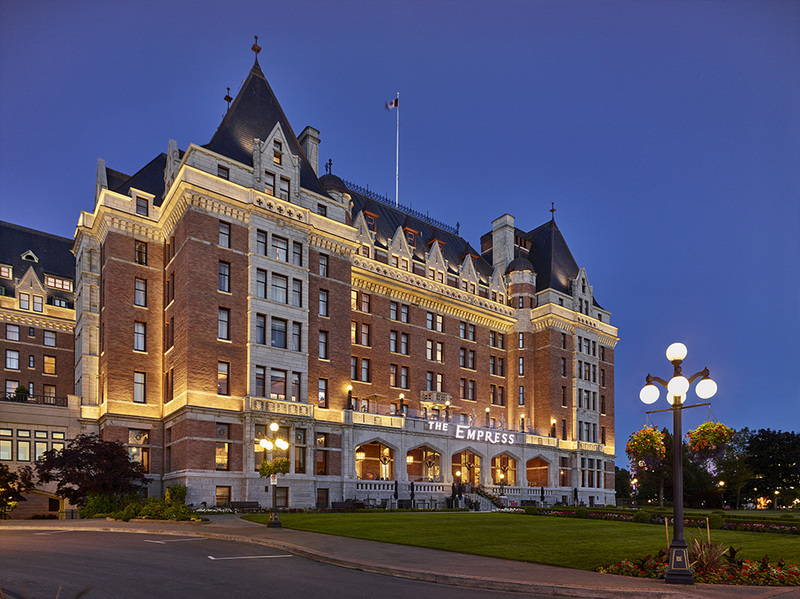 In June 2017, Fairmont Empress completed a $60+ Million restoration that celebrates its proud history while moving the hotel into a new era of modern luxury; transforming this iconic property into an elegant must-visit destination for the world’s discerning travelers. The restoration of the hotel’s exterior demanded a graceful façade illumination that would complement the hotel’s own iconic majesty. The lighting system reveals the heritage architecture of the restored exterior through a respectful and cohesive approach to both the original heritage building and the more recent additions around it. The Lumenpulse façade lighting system is integrated unseen into the architecture revealing the other-worldly magic of the structure itself and controlled through the existing electrical infrastratcture using Lumentalk. The final lighting installation easily complied with the Dark Sky ordinance that the City of Victoria has in place out of respect for the Royal Astronomical Society of Canada’s nearby observatory. The Empress now reclaims its iconic place as part of the nighttime ambience of Victoria’s inner harbour.